With ASUS Smart Contrast Ratio (ASCR) of 80,000,000:1 and 300cd/m² of brightness, the ASUS PA248Q enhances display contrast and sharpness – by adjusting the luminance of the backlight to achieve the darkness black and brightest white – delivering lifelike visuals. ASUS PA248Q also delivers ultra-smooth visuals thanks to a 6ms (GTG) response time – ensuring users have a lag-free viewing experience when it comes to watching movies or playing games. 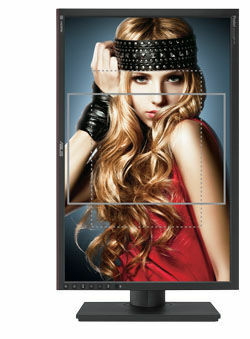 Games played under the PA248Q are more vivid – as all details can be seen and true color can be shown with the PA248Q. 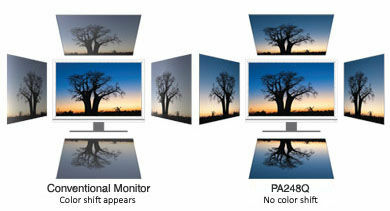 PA248Q sets a standard by being the world’s first monitor with four USB 3.0 ports; users can easily plug in their devices and experience ultra-fast transmission speeds that are up to 10 times* that of current USB 2.0 standards. *Experience ultra-fast data transfers at 4.8Gbps with USB 3.0 – the latest connectivity standard. Built to connect easily with next-generation components and peripherals, USB 3.0 transfer data 10X faster and is also backward compatible with USB 2.0 components. 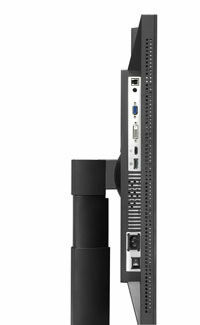 An extensive array of connectivity and high compatibility options are available with the PA248Q including DisplayPort, HDMI, DVI and D-Sub; the PA248Q also allows users to use up to two or three displays simultaneously. With award-winning design, fast response time and advanced visual technology, DisplayPort-ready PA248Q gives you a leading multi-display experience – so you can see all the true color and every detail brilliantly. ASUS Splendid™ Video Intelligence Technology is built upon a color engine that automatically analyzes and determines the nature of the user’s current task, thereafter adjusting the display’s parameters according to ensure color accuracy and image fidelity. 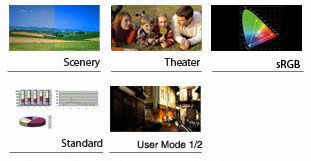 Six preset modes (Scenery, Theater, sRGB, standard and two user modes) can be selected via a designated hotkey. The PA248Q has a 5-way navigation key that acts as a joystick that gives access to the QuickFit Virtual Scale function along with all OSD functions and settings. The PA248Q features customizable OSD shortcuts through two designated hotkeys for quick access to the 10 most frequently used OSD functions. ASUS included its exclusive QuickFit Virtual Scale Function with the PA248Q, allowing users to preview photos and documents on screen in their actual sizes prior to printing. It can activated via a hotkey on monitor and used as a guide to accurately view and edit photos. 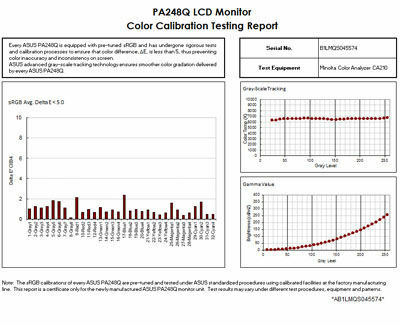 Additionally, the PA248Q also comes with a choice of seven different background colors for users to choose from. 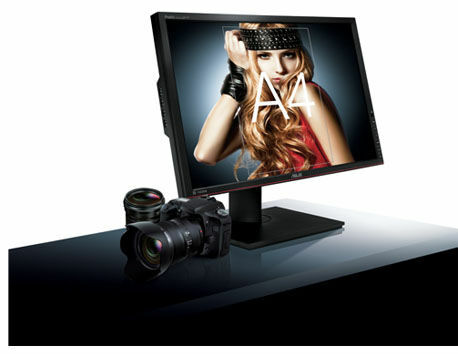 As with most ASUS displays, the PA248Q has an ergonomic design, with tilt, swivel, pivot and height adjustment to give users a comfortable viewing experience. Its design has garnered accolades at the reddot Design awards and International Design Excellence Awards (IDEA).